Researchers at U-M’s Rogel Cancer Center have identified a new subtype of prostate cancer that occurs in about 7 percent of patients with advanced disease. The subtype is characterized by loss of the gene CDK12. It was found to be more common in metastatic prostate cancer compared with early-stage tumors that had not spread. 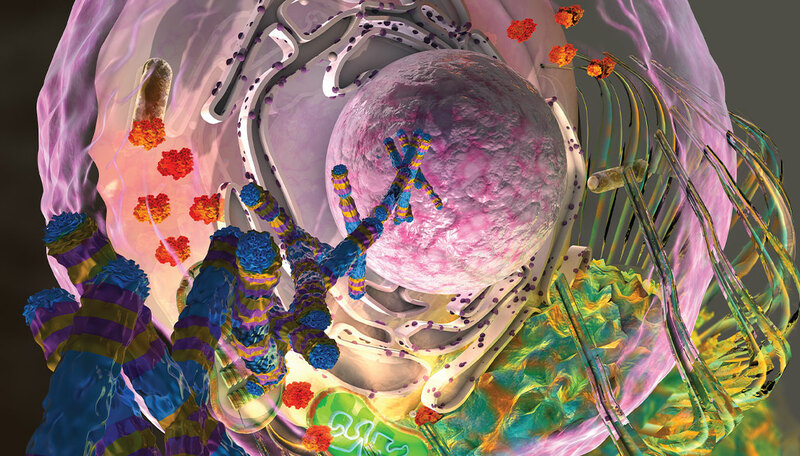 Tumors in which CDK12 was inactivated were responsive to immune checkpoint inhibitors, a type of immunotherapy treatment that overall has had limited success in prostate cancer. “Because prostate cancer is so common, 7 percent is a significant number. The fact that immune checkpoint inhibitors may be effective against this subtype of prostate cancer makes it even more significant. This is an exciting prospect for patients who have CDK12 alterations and may benefit from immunotherapy,” says senior study author Arul Chinnaiyan (M.D. and Ph.D. 1999), director of the Michigan Center for Translational Pathology and the S.P. Hicks Professor of Pathology. In the study, published in Cell, researchers looked at DNA and RNA sequencing data from 360 tumor samples from patients with metastatic castration-resistant prostate cancer. This is an aggressive, advanced form of the disease in which the cancer has spread throughout the body and no longer responds to traditional hormone-based treatments. Tumor samples were from U-M’s Mi-ONCOSEQ program and from samples collected through the Stand Up to Cancer-Prostate Cancer Foundation Dream Team. Researchers at the Rogel Cancer Center will lead a multisite clinical trial to assess checkpoint inhibitors as a treatment for metastatic prostate cancer with CDK12 loss.